"MANILA – COL Financial Group Inc hit record earnings in the first nine months of the year on the strength of an expanding client base. In a statement, the leading online brokerage said its consolidated net income reached P297 million in the January to September period, or 11.4 percent higher from the P266.5 million in the same nine months of last year. The higher earnings was accompanied by a 31.2 percent jump in commission revenues to P452 million during the period, while interest income increased by a tenth to P151.1 million. “We are pleased to announce another record earnings result for the first nine months of this year. 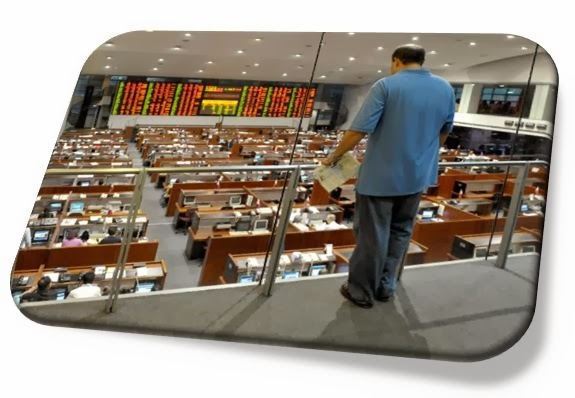 More importantly, we are glad to see the continuous expansion of our client base and their investments in the Philippine Stock Exchange,” said COL president and chief executive officer Dino Bate. Despite the correction that began in May, the PSE index was still higher by 6.5 percent at end-September. Value turnover in the local bourse went up by more than half during the first nine months of the year led by the 77.9 percent increase in value turnover of foreign investors. COL’s client base increased 66.5 percent to 77,466 in the first nine months of the year from 46,536 at end-2012. This allowed the brokerage to hike its market share in terms of value to 8 percent at end-September from 7.7 percent in the same period last year. COL also kept its position as the number one stockbroker in terms of volume of transactions handled, with a market share of 24 percent in the nine-month period, up from 23.4 percent last year. Client equity handled by the brokerage surpassed the $1 billion mark to P47.1 billion at end-September from P34.4 billion at end-2012, largely driven by net new deposits amounting to P16 billion during the period. Annualized return on average equity improved to 30.8 percent during the first nine months of the year, allowing COL to remain the most profitable listed stockbroker in Asia. “At COL, we believe that our profitability is only a consequence of our client’s success. Going forward, we plan to expand our products and services to better address the needs of our existing clients and other Filipino investors,” Bate said.